Sue Trinder lives in Victorian London with her “adopted” family, who makes a living by thieving, a trade which Sue is readily a part of. Sue’s mother was out to death by hanging, so Sue has always considered herself part of a seedier society. She is close to Mrs Sucksby, who she considers a mother figure, and other than their profession, life is pretty normal for Sue. Or at least relatively so! That all changes when Gentleman comes along. Gentleman is known by Sue, Mrs Sucksby and the rest of the “family” as he dabbles in their trade and shows up quite often at their home. One particular night when he shows up though, his objective is to get Sue on board with a scheme of his. Gentleman is currently working as a tutor in the country home of a man and his wealthy niece, Maud Lilly. Maud cannot receive her inheritance unless she is married. As is well known of the time period, this really means her husband will inherit the money, which is all a part of Gentleman’s grand plan. He wants Sue to come to the home as Maud’s maid and act as a go between for himself and Maud, all the while encouraging Maud to accept his favor. In turn, he will convince Maud to marry him and become the controller of her fortune. For her part, Sue will be rewarded with a fraction of the Lilly fortune. The synopsis I gave you only begins to cover a few pages of what becomes one of the most plot riddled books of all time. I mean that only in a good way. Fingersmith can easily be equated to a roller coaster ride, because that is what it feels like. The twists and turns that are thrown at the reader make it a thrilling book, with the reader having absolutely no idea what will be hurtled their way next. It was the type of book that I would be gasping in shock through, which, who doesn’t love that! The gothic element in Fingersmith is unparallel and is what Waters does best. The grittiness of living in Victorian London coupled by the gloominess of Maud’s mansion was so palpable. I felt like I was actually living there, completely involved in the story. And I wanted to be there! Sue and Maud were both such real characters. The development was superb and they were both sympathetic despite their obvious faults. In fact, I couldn’t decide who I cared for more. I am pretty sure the honor would have to go to Sue though, as she was so misguided yet she never gave up. Gentleman, on the other hand, was a complete lost cause. You would be hard pressed to find a villain more vile than he. Is it just me, or does it seem like I write the shortest reviews for the books I love the most? 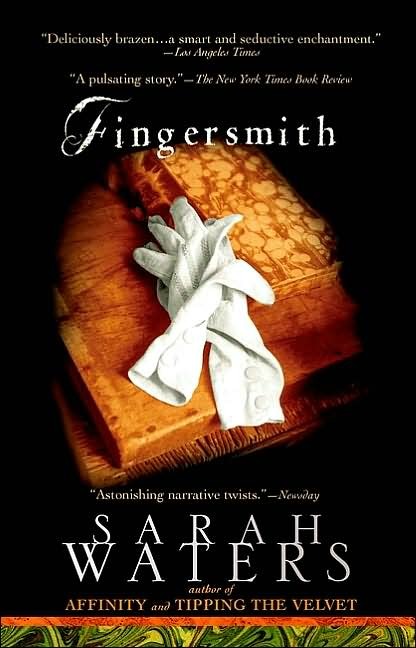 The problem with writing a review for Fingersmith is that it is so good, you want to encourage everyone to read it, while not spoiling any of it. I feel like it is best to write the barest of reviews while just expounding, over and over again, the fact that this is an excellent, phenomenal book. This one will definitely be included in my Best of 2010 category. I bought this book from Barnes & Noble. 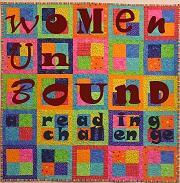 This book counts towards the Women Unbound challenge and the GLBT challenge. Helen Codrington and Emily “Fido” Faithfull are the best of friends. They’ve certainly had ups and downs in their friendship, but who hasn’t? Helen has been away in Malta for seven years when she returns in 1864 and runs into Fido in England . The two pick up right where they left off and quickly become close again. Fido is well aware that Helen’s marriage to Admiral Codrington was on rocky territory when she last saw the couple in 1857, but she is hopeful that they have turned over a new leaf. Oh, how wrong she was! Fido soon discovers that not only has the marriage not improved, but Helen has started behaving in a licentious way. She is having an affair with one of her husband’s colleagues and goes so far as to have relations with him in Fido’s own home. Fido has long been for the rights of women, especially when it comes to the idea of women having gainful employment. She owns a press that runs a women’s magazine and thus seems to be someone ahead of the fold. However, when it comes to real life, Fido is pretty innocent and naïve. She is shocked at Helen’s behavior but is quick to believe all of the rigmarole and excuses that Helen tosses to her left and right. Helen’s husband, the Admiral Codrington, is a tad brighter than Fido however, and he begins to see Helen for the master manipulator that she is. Fido gets caught in the middle of the warring couple and is forced to discover that her true friend may not be the person Fido originally thought she was. I finished this book in bed one night. I was tired and should have fallen fast asleep the second my eyes closed, but I could not stop thinking about this book. It was such a catch-22. I loathed Helen. It would be impossible not to. She willingly steps all over anyone she can in order to get what she wants. She knows Fido is a faithful friend, and she uses that to her best advantage. And yet . . . maybe Helen has no other choice. Is she not just a product of her times? She has absolutely no options open to her. She’s unhappy in her marriage and seeks contentment elsewhere. For that, she is cut off from her lifestyle and children forever. It seems grossly unfair to me. That being said, she put herself in an even worse position by casting out everyone that loved and cared for her. Even her husband wasn’t a bad guy. So as you can see, either way Helen was damned. That doesn’t excuse her behavior, but maybe it mitigates it just a little. The Sealed Letter is based on a true story. Donoghue did a fantastic job weaving fact and fiction together. It can be difficult to tell a true story while still injecting enough fiction into it to interest the reader. In comparing this book to another book of the same nature, 31 Bond Street , by Ellen Horan, Donoghue’s effort is much greater and more successful. I just felt that she used every scrap of truth when possible, and I really appreciate that. If you’re a fan of Victorian based literature, you must check out Donoghue. She reminds me a bit of Sarah Waters and the other book I’ve read of hers, Slammerkin, is exceptional. I can’t wait now to read Room! I bought this book, most likely from Barnes & Noble, although I can’t be 100% sure. 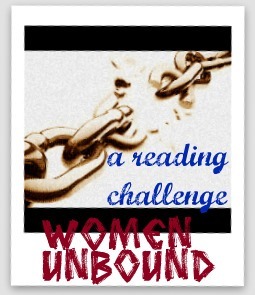 This book counts towards the Women Unbound Challenge. Given that it won the 2009 Lambda Literary Award for best lesbian fiction, I suppose it also counts towards the GLBT challenge. I’m not averse to non-fiction if it’s readable, but I admit I was skeptical about The Immortal Life of Henrietta Lacks straight off the bat. How can a book about science–specifically cells–be readable? So I didn’t give the book a lot of consideration. But then I saw The Immortal Life all over the blogosphere and I figured I’d better give it a chance. Fast forward a few weeks later when I finally got a copy from my library (I was about #170 on the holds list). The check out time for the book was only two weeks, so I figured I’d better get cracking. Once I picked it up, I barely put it down. 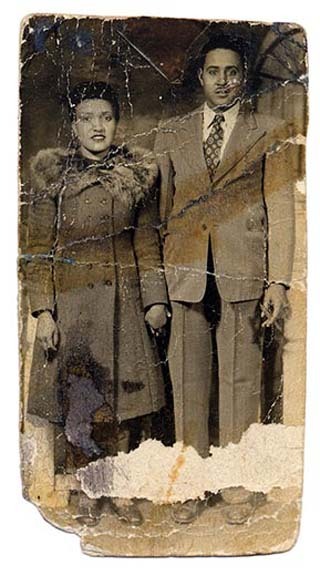 Henrietta Lacks was a poor lack woman who discovered she had cervical cancer when she was a young mother in her thirties. Despite the radiation she went through, the cancer soon spread, killing Henrietta within a year and leaving her five children motherless. That would have been the end of the story had a doctor not taken Henrietta’s cells and discovered that the cells continued growing and mutating furiously. Since that time, Henrietta’s cells have been used for countless medical testing and experiments that have made serious advances in the world of medicine. Unfortunately, her family had no idea that Henrietta’s cells were everywhere–their reactions were mixed when they discovered what was going on. On the one hand, their mother was saving lives every day. At the same time, they didn’t know exactly what was being done with her cells. They felt that there mother may have been exploited by scientists while she was not being given proper recognition for the woman she was. She had lost her human characteristics and was seen only as HeLa–the cells that were taken from her. Not to mention the fact that the Lackses had no medical care and could not even afford the procedures that their mother’s cells had helped create. 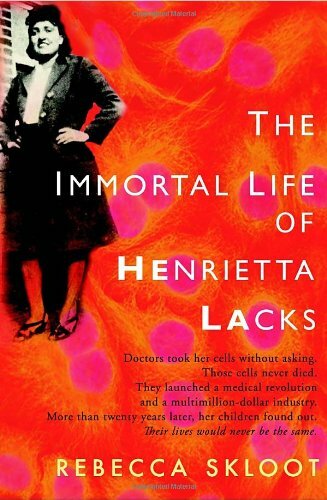 None of the money made off of the HeLa cells were given to the Lackses. Despite the subject matter of the book, The Immortal Life was surprisingly readable. I read it in 3 days and even took it on car rides in the event that I may have a spare minute to read. For those of you that are skeptical, I urge you to throw your caution to the wind and give this book a shot! I doubt I would ever have picked The Postmistress up on my own. The title and the cover do nothing for me. They aren’t bad, but there’s nothing there to capture my interest. The plot seemed interesting enough but I wasn’t driven to pick it up. Then it started showing up everywhere–book blogs, newspapers–you name it. By then, I figured I needed to join the club and read the book so I would be “in the know”. The setting is Franklin, Massachusetts during World War II–a small coastal town that is aware of the war, but not really involved. 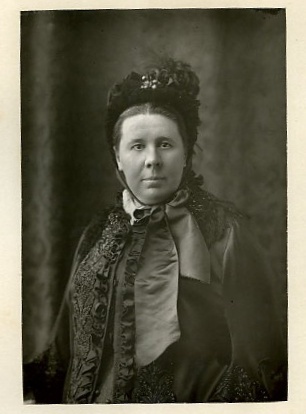 The cast of characters includes Iris James, the postmistess, along with Harry Vale, a bachelor pining after Iris, and Will and Emma Fitch, the town’s young doctor and his wife. Will Fitch is haunted by his father’s past and, as a result, when a local woman dies during childbirth when he is attending, he is overcome with guilt. He makes the decision to go to London and help out with the victims of war, leaving Emma behind. Emma is distraught. I think she feels like Will is going over for the wrong reasons and she is scared of losing him. Meanwhile, you have a young journalist, Frankie Bard, broadcasting over from London. She is immersed in the war and its aftermath and eventually begins following the Jewish refugees that are trying to flee Europe. The situations she experiences and the stories she captures are uneblievable and heartbreaking. At one point, she meets Dr Fitch while hiding out during one of the bombing blitzes in London and her story becomes interwoven with those of the residents in Franklin, Mass. From this point on, I don’t feel that I can accurately portray my reactions to the book without including some spoilers, so unless you want to know some major happenings in the book, you may want to skip the following part. 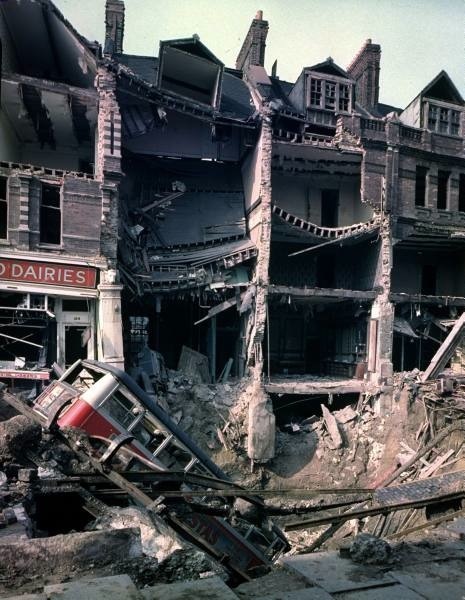 Dr Fitch dies in London. His death is witnessed by Frankie and at the time she comes into possession of the last letter Dr Fitch wrote to his wife. She carries the letter with her for the next few weeks as she travels through Europe, debating what to do with the letter. 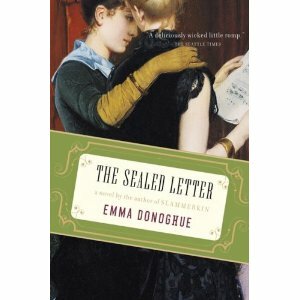 Meanwhile, Emma is oblivious to her husband’s death, although his letters to her have ceased. Before Dr Fitch left home, he gave a letter to Iris to give to Emma in the event that he died. Iris eventually realized that Dr Fitch has probably died after receiving a letter from his landlord stating that he has been missing. However, she cannot bring herself to tell Emma, so she pretends as if the letter was never received and declines to give it to Emma. Eventually, Frankie comes to town and realizes that Emma is ignorant to her husband’s death. After a period of time, the truth is revealed. I rued over the idea of hiding harmful information from people once I finished The Postmistress. 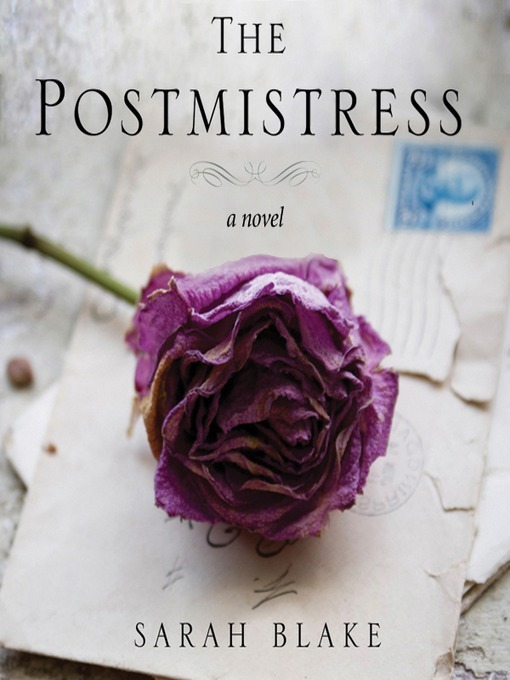 Iris took her job as postmistress very seriously, so the fact that she was even was willing to tamper with the mail in the first place was a shock. Her motives were innocent, so did that make it ok for her to hide the truth? I don’t know. I think everyone is guilty of not offering up information if they know it will hurt someone. I have for sure. I am kind of stuck on this issue truthfully. I wasn’t thrilled with The Postmistress. In no way did it exceed, or even meet, my expectations. I found some parts of the book intriguing and interesting, but other parts fell flat. I think I am in the minority on this though and despite being more ambivalent about the book than most, I would still recommend it to others. I read this book for the Women Unbound challenge.